Salt Lake City, Utah (USA) -- Charles Prebish’s path through American Buddhism has taken him to cities and universities, libraries and seminars, academic tugs of war, Zen centers, meditation retreats and global online communities. It put him in the presence of the nation’s most influential Buddhist teachers and at the forefront of a burgeoning field. 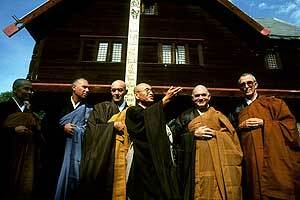 << (L to R) Dennis Genpo Merzel Roshi (with blue robe), Daido Roshi, Maezumi Roshi, Bernard Tetsugen Glassman and Peter Muryo Matthiessen. Courtesy of Peter Cunningham. Most unexpectedly, Prebish’s decades as a Buddhist scholar-practitioner even set him down at the end of his career in, as he put it, Mormonland. Now in an eye-opening autobiography, An American Buddhist Life: Memoirs of a Modern Dharma Pioneer, Prebish spells out the spiritual and scholarly byways he has traveled from his Jewish childhood in Chicago to his slow embrace of Buddhism, from keeping his meditation practice secret to blurting it out among colleagues. He also documents the groundbreaking work he did laying the foundation for exploring a Western brand of Buddhism and how it relates to the practice among Asian immigrants. Prebish,a former Utah State University professor, makes clear the price he has paid — especially job advancement — for being a leader in a new discipline, for challenging established dogma and for acknowledging his beliefs. Academics would have reacted better, Prebish writes, "if I said I was gay than if I said I was Buddhist." Prebish’s memoir "is a tour de force of American Buddhist studies," writes Justin Whitaker in an online review at americanbuddhist.blogspot.com. Prebish — who goes by "Chuck" — describes himself in the book as "pushy, prickly and aggressive," Whitaker writes, but that "tenacity" allowed him to driveinto such innovative territory. And deal with the fallout. Not long after Chuck Prebish’s bar mitzvah as a 13-year-old, his father, a wealthy and successful Chicago businessman, began to suffer strange headaches. Within 18 months of his first brain tumor diagnosis, the senior Prebish could not walk, swallow, breathe or eliminate waste on his own. His mind was trapped inside a dying body. In one particularly agonizing moment, his father begged, "If you truly love me, kill me." So the boy went to his high school chemistry lab, took some strychnine and planned to pour it into his father’s feeding tube. At the last minute, he couldn’t go through with it. "I sat on the floor and sobbed all night long," Prebish writes, "not because I was struggling with the morality of killing my father, but rather simply because I had failed." Within months, his father died — and Prebish declared he was no longer a Jew. "I could simply not understand how a benevolent, forgiving God," he writes, "could take a brilliant, compassionate man from his family at 48." Some years later, Prebish was a predental student at what would become Case Western University in Cleveland. On a "beer-inspired afternoon" with some fraternity brothers, he came across a course listing for Buddha and Buddhism to be taught by a young Harvard-educated Hindu specialist, and they all agreed to try it. That was his first course on the subject, and as soon as the professor laid out Buddhism’s Four Noble Truths, including the idea that all life is suffering, Prebish was hooked. It was 1965, the same year the United States changed its draconian immigration laws, allowing more Asians to come into the country, bringing their faith with them. Little did Prebish realize that the coincidence would change his life as well. Prebish, who got an undergraduate degree in chemistry, had planned to become a dentist because, he writes, at least he wouldn’t have to watch people die. But the Buddhism course changed all that. Instead, he pursued graduate work at the University of Wisconsin, one of only two Buddhist studies programs at the time. His teacher, Richard Robinson, was a nationally recognized expert who challenged young Prebish to constant debates in his office. Just before Prebish was to take his doctoral exams, Robinson died from burns he suffered in a horrible house explosion. Prebish heard the news while playing golf with fellow students, he writes. He cried through all nine holes. 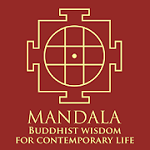 He was able to complete his graduate workwith other mentors and, in the fall of 1971, accepted a position in Buddhist studies at Pennsylvania State University. So began a three-decade sojourn at the school, where he faced discrimination, hostility and professional roadblocks. Yet he also found eager students, open-minded colleagues and a chance to pursue research into the fascinating world of Buddhism, both historic and modern. And he continued meditating — sometimes up to four hours a day — and even taught it to students in his home. After some years, his teachers all told him that while meditation is a good discipline, it is more important to fully integrate Buddhist principles into daily life. "You have to be able to get up off your cushion a more whole human being," Prebish says in a phone interview, "and live in the present moment, including knowing how to apply ethical practices." To study or to do? 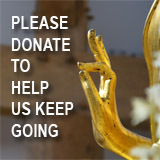 Still, Prebish hesitated to tell colleagues of his practice, lest it tarnish his professional reputation — which is precisely what happened when he acknowledged his Buddhism. At the same time, he became aware of the array of Buddhists fleeing from wars in Southeast Asia and finally being allowed into the United States. Until then, Buddhist studies was about ancient texts and practices in the old world. Now, Prebish realized, scholars could analyze Buddhism as it was experienced in new cultures, particularly in the West. They could examine it as a new religious and social movement. He began to reach out beyond the campus to find the few Buddhist teachers and students in America. He wrote letters, made phone calls and sought to document all the groups that existed. There he found his niche. "Nobody had ever touched on Buddhism as a ‘Western’ phenomenon in any classroom in North America," Prebish realized, "and this could be an enormous ‘first’ in the field of religious studies." During his long career, Prebish would spend time with Chogyam Trungpa, who launched the Naropa Institute in Boulder,Colo.He spent a year each in Calgary and Toronto, where he was a visiting professor and researcher, respectively. He helped establish the International Association of Buddhist Studies, co-founded the Buddhism Section of the American Academy of Religion and served as editor of the Journal of Global Buddhism and Critical Review of Books in Religion. Eventually, Prebish published more than 20 books and nearly 100 scholarly articles and chapters. Despite his incredible productivity and widely recognized prominence in the field, Penn State did not grant him the title and salary of a full professor until 1998, nearly 30 years after he began there. In all Prebish’s associations and travels among American Buddhists, he writes, he found more hospitality among the Asian-American Buddhist Churches of America than among the convert population. "In the communities that would later be called ‘convert’ Buddhist centers, I was viewed with suspicion as a ‘researcher,’ despite my own long-standing Buddhist practice as a fellow ‘convert’ Buddhist," he writes, "while in ethnic Buddhist communities, I was treated with kindness and compassion." Most immigrant Buddhists tried to live the five vows of laity — not to kill, steal, lie or engage in improper sexual behavior and to refrain from intoxicants, he writes, while the American convert Buddhists "had no difficulty at all with permissive sexual behavior, liberal use of alcohol, careless use of speech and many other excursions into areas of ethical uncertainty." After retiring from Penn State, Prebish arrived in 2007 at USU in Logan as the Charles Redd Endowed Chair in Religious Studies and oversaw the religious-studies program. School administrators seemed pleased by the appointment, and more students than expected signed up for his first class, Introduction to Buddhism. "It was an odd mix: brilliant students who would have done superbly anywhere, Harvard notwithstanding," he writes, "and students who sought only to prove the superiority of the LDS faith." Despite his years of experience, the Cache Valley Sangha (or Buddhist group) never asked him to assist in the program or present any teachings to them. When he mentioned that he no longer meditated for long periods, a member of the sangha said that meant Prebish wasn’t even a real Buddhist. "You’re crazy," Prebish reports the person saying, "and don’t know what you’re talking about." As elsewhere, however, Prebish found a fellow traveler not among the "converts," but in the Rev. Jerry Hirano, minister of the Salt Lake City Buddhist Churches of America Temple, whose church, Prebish writes, "provides a vibrant religious life for the Japanese American community of Salt Lake City." Last year, Prebish left USU and returned to his former home in Pennsylvania, where he writes articles and corresponds with other scholars. Even as the field he pioneered continues to thrive, the 66-year-old Prebish hopes the future will bring "kinder, gentler" American Buddhist teachers — and a mutually reciprocal relationship between Buddhist study and Buddhist practice.